The Alzheimer's Disease Facts and Figures 2012 provides a statistical resource for United States data related to Alzheimer’s disease. Read more Fact and Figures about Alzheimer's disease. When a person suffering from Alzheimer's disease wanders away they are at risk. Of those lost more than 72 hours, only 20 percent survive. 80 percent don't survive. This ordeal could result in death. 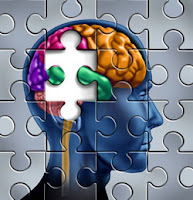 Alzheimer's disease is the most common type of dementia. See What’s the Difference Between Alzheimer’s and Dementia? and, Dementia and the Eight Types of Dementia. An estimated 5.4 million people have Alzheimer's disease. There are more than 15 million unpaid Alzheimer's caregivers in the United States. Alzheimer's caregivers provide 17 billion hours of unpaid care, this healthcare service contribution to the country is valued at $210 billion for Alzheimer's and the other dementias. Unpaid Alzheimer's caregivers are usually family members. See Are Alzheimer's Caregivers the Forgotten?